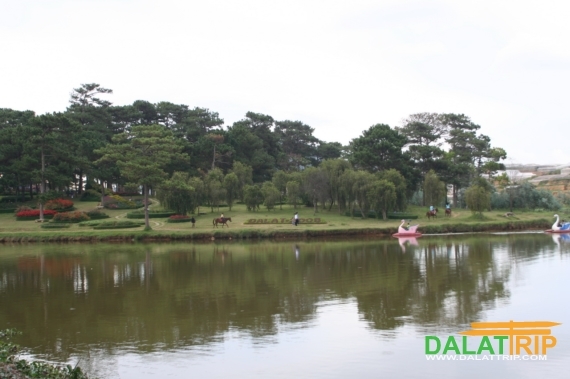 Lake of Sighs is located in the East of Dalat and it is 5,8 km far from the city center. In the past, the lake used to be a swamp. 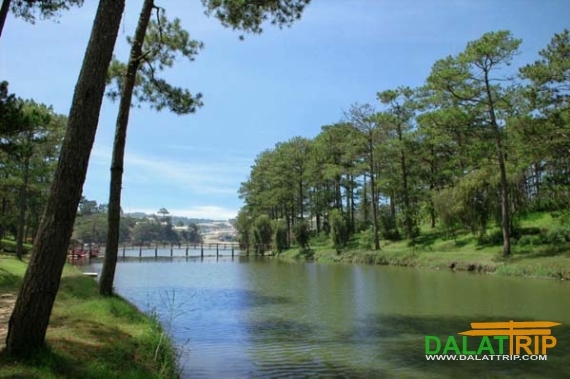 In 1937, the French built a dam to retain water from Cam Ly stream then they made it a lake with an area of 8,5 ha and it provides water for the entire city of Dalat. 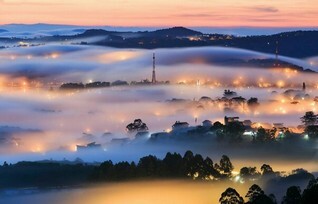 Soupirs means the sound of wind blowing in the forest, but it also has another meaning; the sight. The second meaning seemed to make sense than the first one, so the lake has been called the name “Lake of Sigh”. Beside, there are also many stories embellished and the love story of Hoang Tung – Mai Nuong is the most popular one. At the time of Tay Son dynasty, Hoang Tung, a solder, took Mai Nuong to the lake side to say good bye and he said he will come back on the victory day. But the wrong news came to Mai Nuong: Tung died in a battle. Mai Nuong then got depressed and she thrown herself to the lake to die in order to keep the loyal love. In face, he was not dead. When the dynasty of Tay Son collapsed, Hoang Tung came back and he heard the news that his beloved had died, so he thrown himself to the lake and died. Since then, the lake has the name Than Tho, sigh. Sigh for the depressed love. 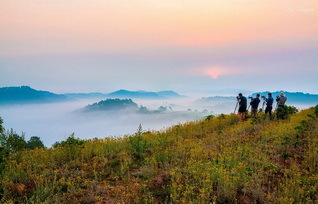 On 31 August, 1998, Than Tho lake was recognized as a Cultural historical heritage.